Last month we mentioned the 2nd class self-adhesive coil from the 2010 MA10 printing. 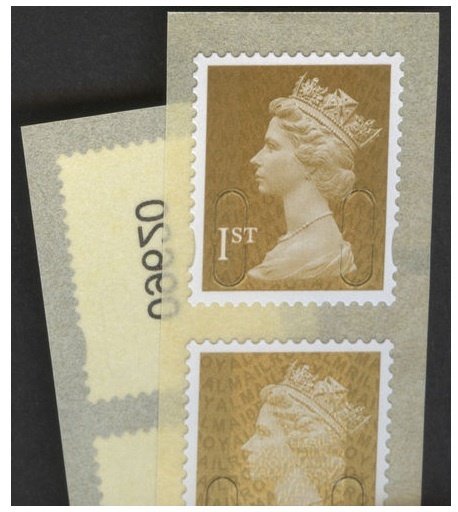 A month later this is still the only copy that has been reported, although it is understood that a whole 10,000-stamp roll was used on the Sunday Times Wine Club mailout. Some 2009 stamps were also used. The 1st class MA10 coil is now available - so far in very limited numbers, possibly only one coil. Now 10,000 stamps sounds a lot, but it's only 1,000 strips of 10. Not everybody will want a strip at the current price, but singles will be bought up quickly. We will have a few for sale - see here !